This week’s theatre delight was Around the World in 80 Days. It’s a madcap and funny production with 8 people playing over 125 parts using just a few props. Very clever and lots of fun. I’ve had a busy week on my blog and so there are lots of posts to remind you of. On Monday I posted a review of The Flower Shop on Foxley Street by Rachel Dove which is a lovely, sweet story. There’s still a giveaway running on that post. I also posted a guest post from Phoebe Morgan as part of the blog tour for The Doll House. She talked about getting a literary agent. On Tuesday I shared my review of the absolutely wonderful A Time To Change by Callie Langridge. If you like time slip and time travel then this is for you. Wednesday’s post was all about setting with a guest post from Nick Louth about The Body in the Marsh. 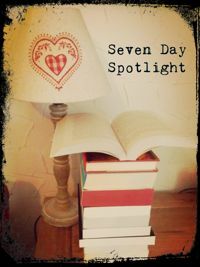 On Thursday I had two guest posts. One was answers to the questions that readers often ask by Charlie Gallagher, author of Missing. The other was a fascinating, if horrifying, true story from Katerina Diamond, author of The Angel. Friday’s post was an extract from Christmas on the Little Cornish Isles by Phillipa Ashley and this was my first Christmas themed blog post. I wonder how many more there will be…..
On Saturday I posted an extract from Bluebird, Bluebird by Attica Locke. And finally, today I posted my review of The Sinking Chef by Sylvia Ashby which is a madcap, fun, foodie read. There’s a giveaway on that post too. 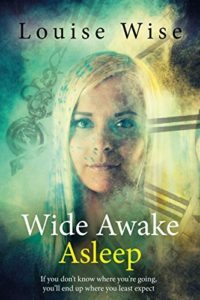 Wide Awake Asleep by Louise Wise – having just read a time slip/time travel book I was keen to read this one which sounds so intriguing. Julie Compton’s life should have come to an end in the car crash but instead she woke, unharmed, back in 1972 and primed to relive her life all over again. One problem. She’s in the body of a stranger. Journey back to the 70s and 80s England where Julie’s forced to jump through the eras, occupying and controlling the bodies of people she knew as a child. She must work out which destiny path was the wrong one, wondering all the while if her body, back in 2016, was dying in her car. With each momentous change, her memories transform and she realises she’s not only changing her future but the futures of those around her. A paranormal, time-slip adventure set in the real town of Northampton in England. 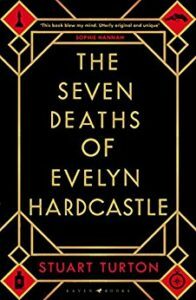 The Seven Deaths of Evelyn Hardcastle by Stuart Turton – and this one sounds like another clever time travel sort of read. 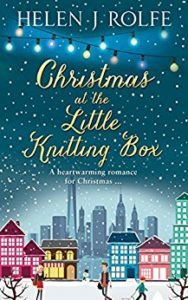 Christmas at the Little Knitting Box by Helen Rolfe – sounds like a lovely festive read. Dylan has had a tumultuous few years. His marriage broke down, his mother passed away and he’s been trying to pick up the pieces as a stay-at-home dad. All he wants this Christmas is to give his kids the home and stability they need. But when he meets Cleo at a party one night, he begins to see it’s not always so easy to move on and pick up the pieces, especially when his ex seems determined to win him back. When the snow starts to fall in New York City, both Cleo and Dylan realise life is rarely so black and white and both of them have choices to make. Will Dylan follow his heart or his head? And will Cleo ever allow herself to be a part of another family when her own fell apart at the seams? Full of snow, love and the true meaning of Christmas, this novel will have you hooked until the final page. 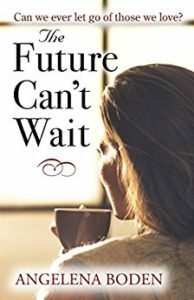 The Future Can’t Wait by Angelena Boden – I’m looking forward to reading this one for the blog tour next month. 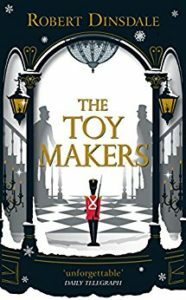 The Toy Makers by Robert Dinsdale – this one sounds so magical. 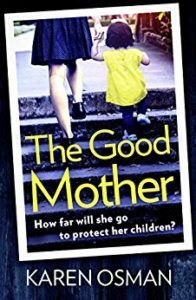 The Good Mother by Karen Osman – a psychological thriller that is only 98p at the moment. 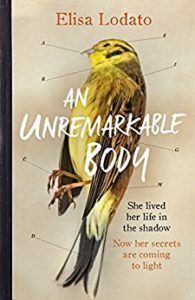 An Unremarkable Body by Elisa Lodato – this is one I keep seeing and it has such an interesting premise. When Katharine is found dead at the foot of her stairs, it is the mystery of her life which consumes daughter, Laura. The medical examiner’s report, in which precious parts of Katharine’s body are weighed and categorised, motivates Laura to write her own version of events. To bear witness to the unbearable blank space between each itemised entry. What emerges is a picture of life lived in the shadows, as well as an attempt to discover how and why her mother died. To make sense of her own grief Laura must piece her mother’s body back together and in doing so, she is forced to confront a woman silenced by her own mother and wronged by her husband. A woman who felt shackled by motherhood and unable to love freely. With the heart of a memoir and the pace of a thriller, An Unremarkable Body reveals an overwhelming desire to make sense of an unfulfilled life. To protest that an unremarkable body does not mean an unremarkable life. 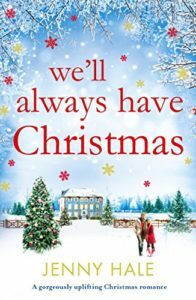 We’ll Always Have Christmas by Jenny Hale – I’ve seen a few reviews of this one lately and the bakery element combined with Christmas meant I just had to get it. 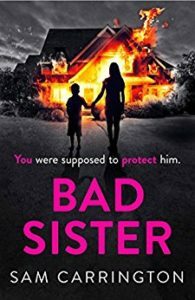 Bad Sister by Sam Carrington – courtesy of Sabah Khan from Avon Books. So that’s it, folks. I’d love to hear any comments or thoughts please. We saw Around the World in Eighty Days by the same production company a year or so ago – it was fabulous. You’ve tempted me with Christmas at the Little Knitting Box. Was there audience interaction? We were on the front row and some of the people had to go on the stage. My OH ended up having a song sung to him!